These presentation slides 46981 are complete compatible with Google Slides. Simple download PPTX and open the template in Google Slides. Enjoy this nice and stylish theme that is created in colorful bold manner with using various stripes, arrows, icons in two variants of color solutions. 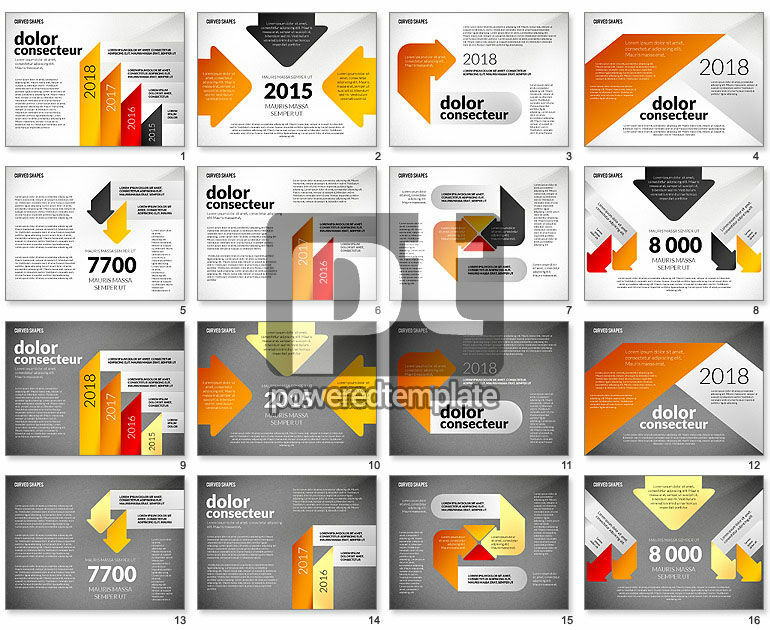 This bright and stylish template may suit perfectly to various presentations in different spheres of business, media, technology and so on and dedicated to various connections, stages, processes, dependencies, data visualization, management, etc.